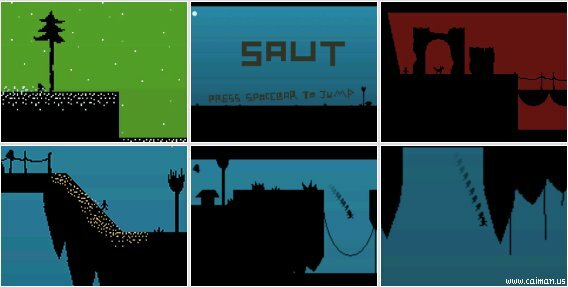 Caiman free games: Saut by Kapser. 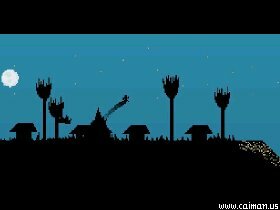 A hard and challenging one-button platformer. It's about a small guy unable to walk, making his way by jumping and sliding. 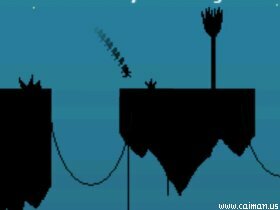 Use Spacebar to jump, and that's it. Controls are surprisely hard to master though. It takes some time to master the gradual jumping and sliding. Finish the game with the fewer deaths then compete on leaderboards. There's also a VIP highscore table when you finish the game while collecting every coins in the game. It is really difficult, but with some practice you'd be surprised how easy it becomes.